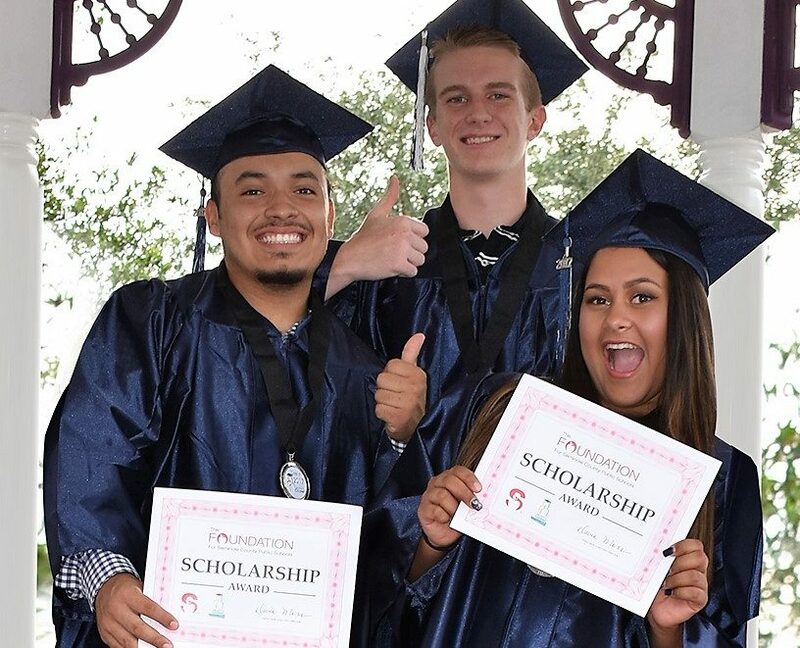 Each spring, The Foundation provides scholarships to deserving graduating seniors who plan to attend Florida universities, state colleges, technical colleges or vocational programs. Scholarships are privately funded by donors and the business community, are managed by The Foundation for Seminole County Public Schools and are viewed as an investment in the education of the students of Seminole County. If you are interested in setting up a scholarship in memory of your loved one or to leave a legacy, please contact our Program Manager at 407-320-0170. Application Deadline: Friday, March 29, 2019 at 11:59 p.m. The 2018-2019 scholarship application is now available. Please complete the online application below. Please note all applications must be submitted online; paper applications will not be accepted. If you are using Internet Explorer, the application may not appear so please click here. If you have difficulty with this form or have questions, please e-mail the Foundation Program Manager.